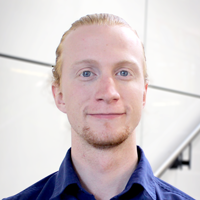 Jack has five years’ experience as a Project Manager and Database Developer in the non-profit sector. He has worked with clients ranging from small grassroots NGOs to multinationals, including IBM, across the Asia-Pacific region such as the Philippines, China, Cambodia, Myanmar, Indonesia, Vanuatu, Solomon Islands, and Papua New Guinea. Jack holds a Bachelor’s Degree with Honours in Developing Country Studies and a Masters in Business.